Bagley Briefs: The Happiest Place on Earth!! The happiest place on earth was visited by the cutest Bagleys on earth! 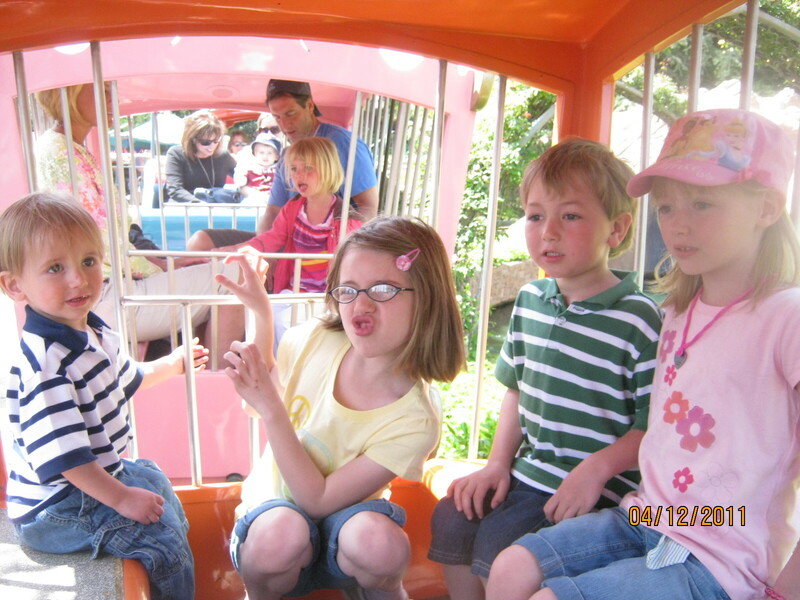 Paul & Heather were able to take their cute ones to Disneyland during spring break last month. Heather sent us some photos taken while at Disneyland. Based on photos and their reports, they were having the time of their life. 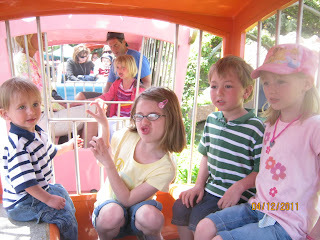 It looks like this photo was taken while they were on the animal train, and Alona is pretending to be an animal, too! Val & I are so happy they were able to go and make more memories as a family! Most importantly, we are very grateful they returned home safley.